October 22, 2018 12:18 pm. English visitor, the Roger Charlton-trained Withhold, headlines the 16 entries for the Geelong Cup. English stayer Withhold is one of the headline entries for the Group Three Geelong Cup which has attracted a field of 16. The Geelong Cup has proven a guide to the Melbourne Cup with internationals Media Puzzle (2002), Americain (2010) and Dunaden (2011) completing the double. To be ridden by Kerrin McEvoy, the Roger Charlton-trained Withhold has barrier six in Wednesday’s 2400m-race and has been installed the $3.80 favourite in opening markets. Sydney’s premier trainer Chris Waller’s three entries includes two imports, Finche and Casterton, who have yet to race in Australia. 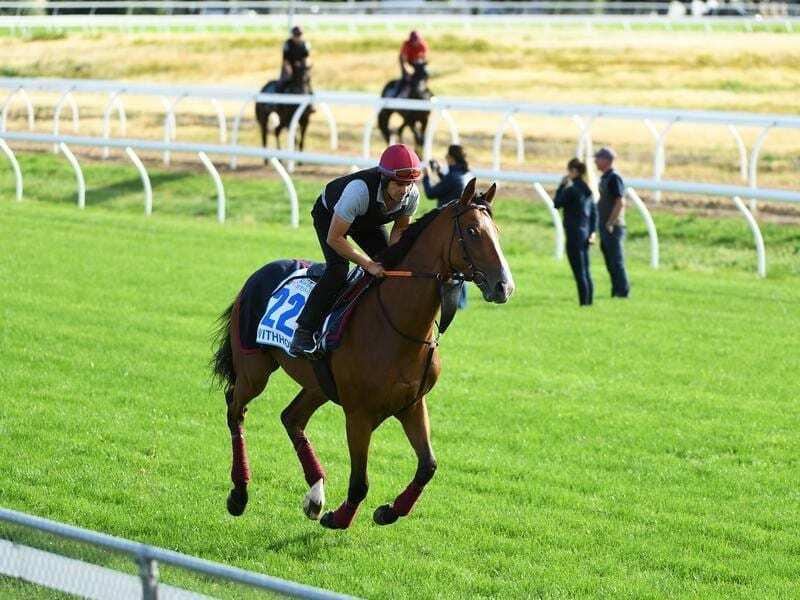 Finche, to be ridden by Hugh Bowman, is topweight with 59kg and has barrier four and on the second line of betting at $4.80, while Casterton ($11) has barrier 10 for Michael Walker. Trainer Darren Weir has five entries including Yogi who was third behind Avilius and Jameeh in The Bart Cummings at Flemington last start in his unsuccessful attempt to secure a Melbourne Cup ballot exemption.